You’ve probably seen roasted strawberry recipes all over the web. They are a really easy recipe to make and take virtually just a few minutes to prepare before popping in the oven. As the strawberries bake, they become sweeter and juicier. They also form a beautiful thick syrup as they bake. 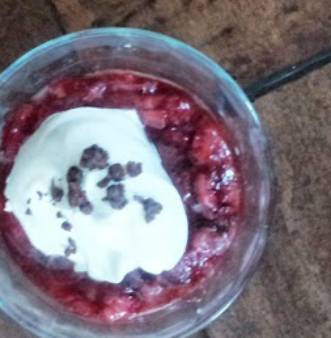 The balsamic adds to enhance the flavor of the berries and completes the overall taste. 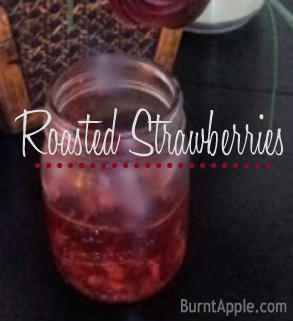 The original recipe for delicious roasted strawberries. Wash the strawberries, cutting off the green tops and then slicing the strawberries into fourths. Place the strawberries in a lightly greased 9x13 inch pan. Sprinkle the sugar over the top of the strawberries, then drizzle the vinegar over the top of the strawberries. Stir the strawberries with a wooden spoon to coat each strawberry with the vinegar and sugar. Bake the strawberries at 350 degrees for 45 minutes, Stir the strawberries once approximately halfway through baking. Remove from oven. There really is something magical about the flavor of roasted strawberries. You have listed so many great ideas here!